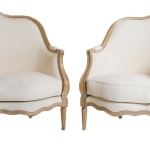 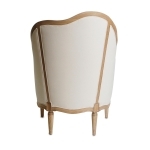 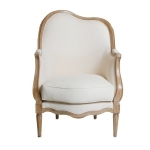 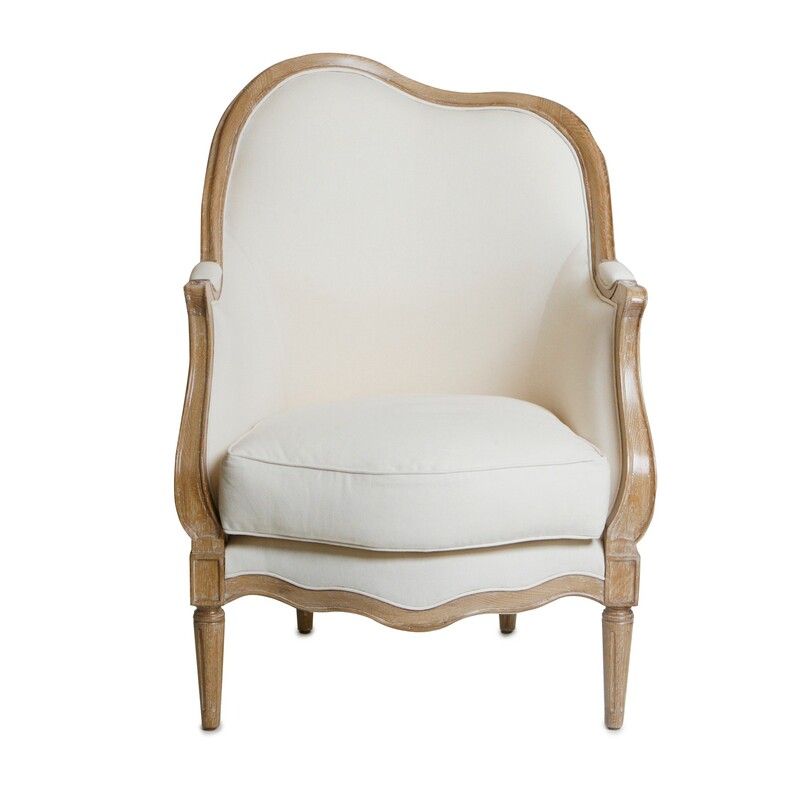 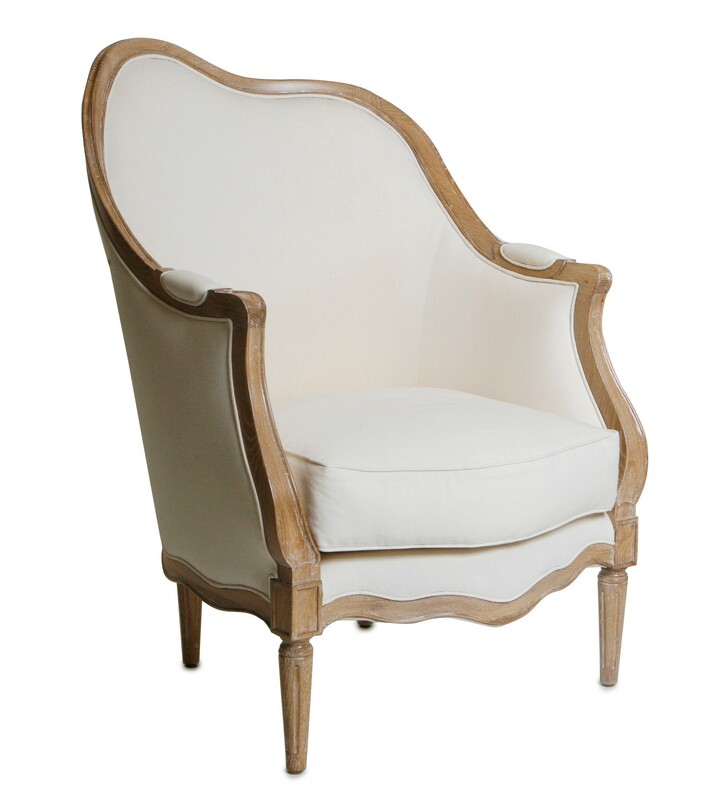 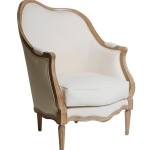 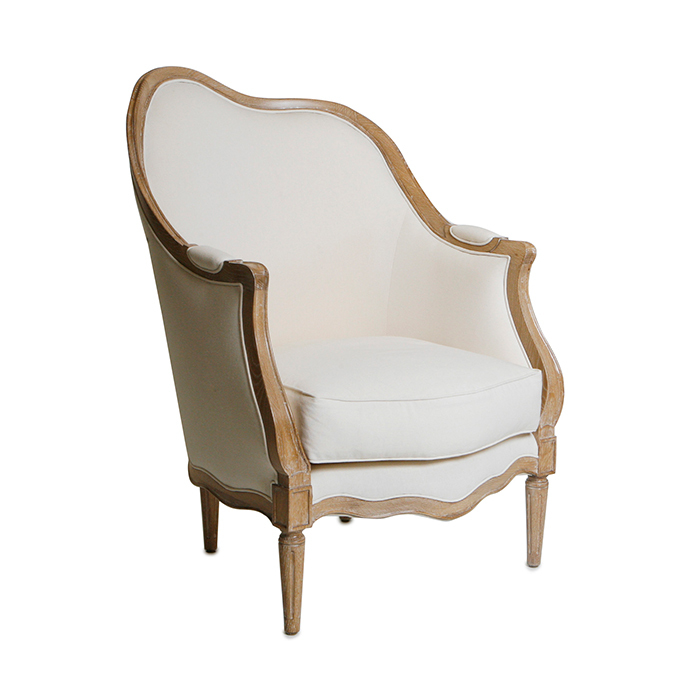 Bergère armchair, shown in rift-cut oak frame with cerused finish and white canvas upholstery. 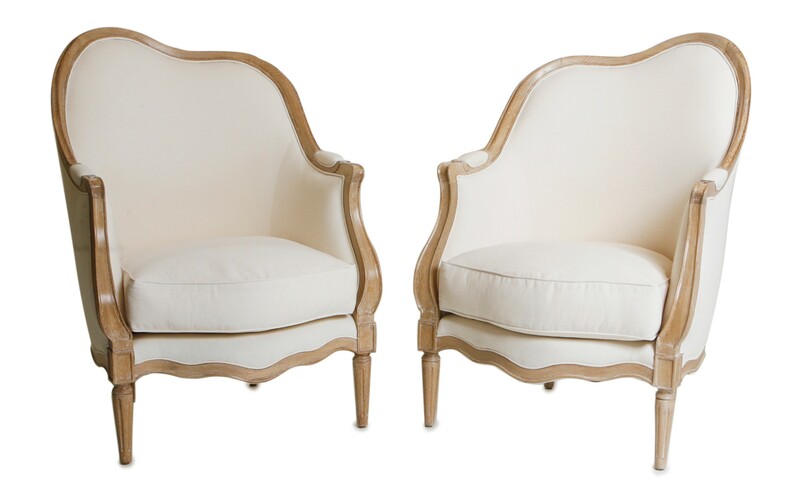 Asymmetrical design creates book-matched pair. 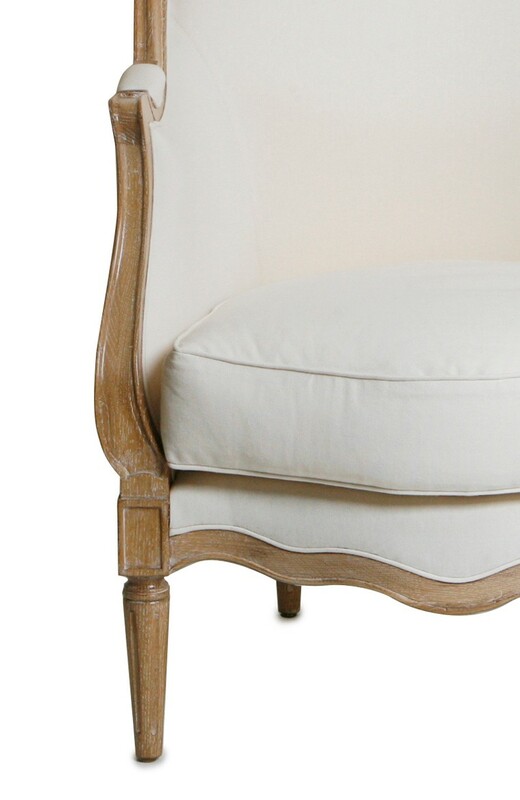 Features fluted legs and loose seat cushion with down wrap. 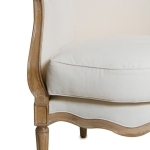 Fabric requirements: 8 yds COM, 176 sqft COL.